Kenya is a deeply mysterious, gorgeous and vast country that offers a little of everything in its landscape: mountains, bush and a stunning and often over-looked coastline. 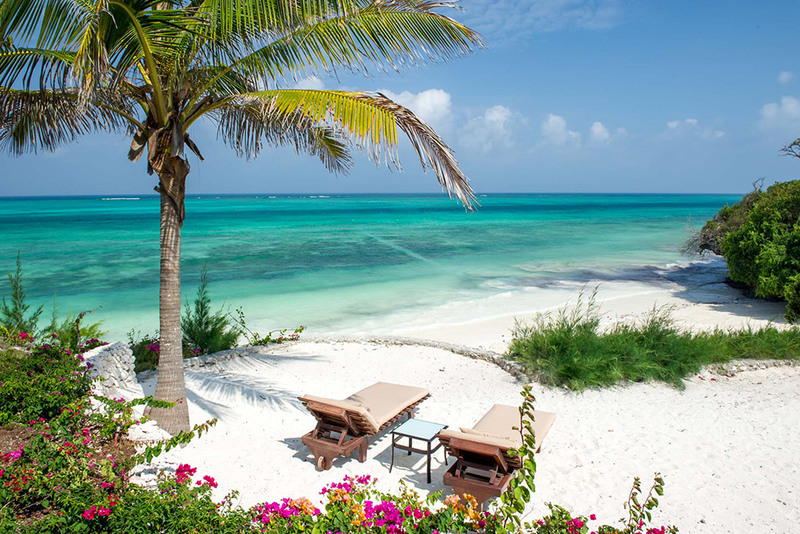 Tanzania boasts arguably one of the most beautiful archipelagos worldwide, Zanzibar. Craft Travel’s “Deluxe East Africa: Safari & Sun” package combines it all to give you a thorough overview of two of Africa’s most incredible destinations. Here, you will get up close and personal with African Wildlife with two nights in the trendy Giraffe Manor in Nairobi. Sip on your coffee as giraffes saunter around the property, poking their heads into the Manor from time to time to see what’s happening on your side! Then, head out to the wilderness and experience the unique property of Finch Hattons in Tsavo West National Park for two nights, before heading to the spicy island of Zanzibar, where you will relax for 3 nights in a beachside villa at the exclusive Zawadi Hotel. Welcome to Kenya! Upon arrival at the airport you’ll be met by your guide who will transfer you to the iconic Giraffe Manor, where you will have the next day and a half at your leisure to discover the wildlife! 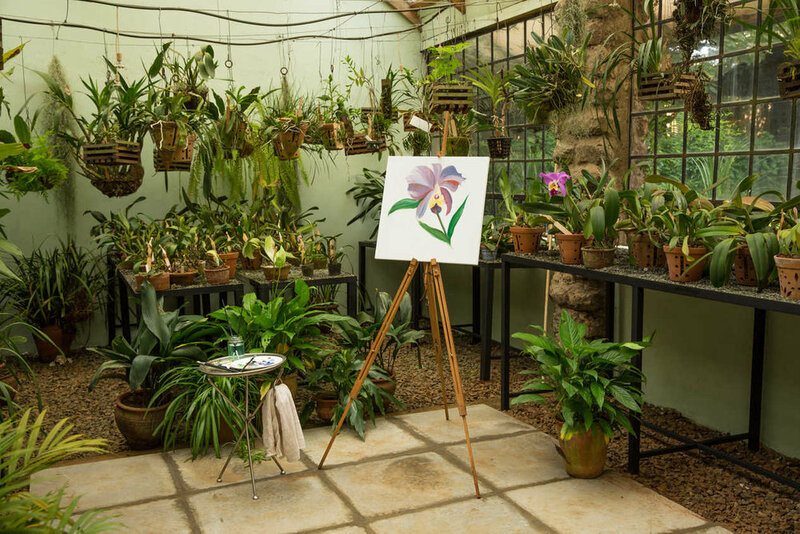 Utilize the included transportation to explore Karen, its museums, and of course the incredible Giraffe Center. 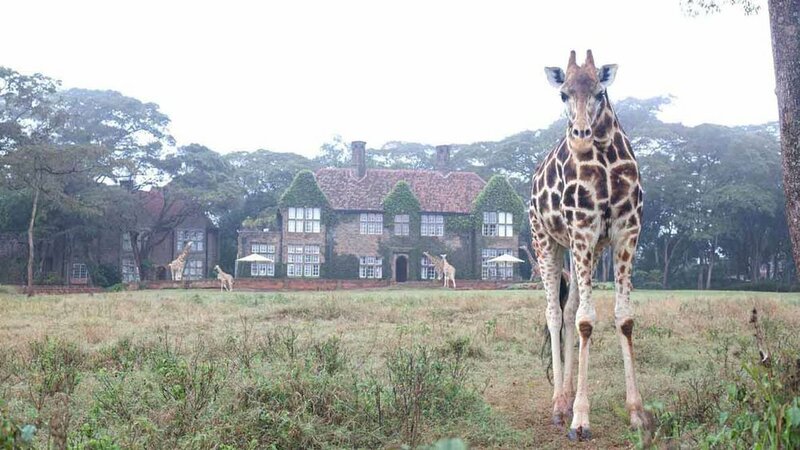 Giraffe Manor is Nairobi’s most iconic historical building, dating back to the 1930s, and is reminiscent of the early days of Europeans in East Africa. Whilst the building itself resonates with the past, very much present is the herd of eleven resident Rothschild giraffe who tend to visit the Manor in the mornings and evenings to greet guests and sniff out some snacks before venturing out into their sanctuary of 140 acres. From 1974, Giraffe Manor was the home of Jock and Betty Leslie-Melville, whose lifelong ambition became the preservation of this beautiful and threatened species of giraffe. With just six bedrooms, Giraffe Manor is an exclusive boutique hotel catering for the discerning traveler to Nairobi. Attentive, experienced managers cater for every guest’s need, arranging sightseeing vehicles for forays around Nairobi or special excursions to find Jock, the big old male giraffe that is responsible for many Rothschild Giraffe offspring! Giraffe Manor interiors are stylish, yet in keeping with its original design that was so influenced by the fever of the day. An original Art Deco bathroom is a feature of the house that never fails to amaze. Have an unforgettable cup of coffee with some of nature’s most majestic wildlife. Consider a guided walk in the sanctuary before heading across the street to the Giraffe Center. Why not include an hour or two at David Sheldrick’s Wildlife Trust, where you can meet and adopt a baby elephant? Don’t miss tea time on the lovely terrace, just in time to catch that magical African sunset. Dinner is at your leisure. Enjoy your final leisurely breakfast with giraffes before your transfer to Nairobi Wilson Airport for your flight to Finch Hattons airstrip. Upon arrival, you will be warmly welcomed by the Finch Hattons team and transferred to camp for a guided tour before settling into your luxury tented suite. Once settled, enjoy a 3 course lunch on the outdoor terrace while overlooking the natural freshwater springs. The afternoon is yours to relax by the infinity pool, explore the property research center, ,or gaze out over the springs on your private deck until your afternoon game drive. Tsavo! Sip on a sundowner cocktail at sunset with Mount Kilimanjaro in the background before heading back to the camp for an exquisite 6-course meal. The rest of the evening is yours to rest or enjoy nature. Located in the Tsavo West National Park, Finch Hattons Luxury Camp is set around natural fresh water springs within 9,065 square kilometers of pure untouched wilderness, surrounded by views of Mount Kilimanjaro and the magnificent Chyulu Hills. Designed to be minimally intrusive, the camp offers guests stunning views from the 17 luxury suites, fusing modern design with rustic charm to provide an experience that seamlessly combines the thrill of a safari adventure with the opulence afforded by contemporary comforts. The open plan design of the tents invites the cooling breeze closer over the water, transporting all the authentic African sounds, tastes and smells right onto your doorstep. Inspired by the life of Denys Finch Hatton, the camp is proud of setting the standards in luxury safaris for over two decades, all driven by preserving the ideals that Denys Finch Hatton lived by; a dedication to elegance and style, coupled with a passionate love of the Kenyan wilderness and a long forgotten way of life. After your wake up call of coffee or tea, head out on an early morning game drive. A sumptuous breakfast will be served, either on property or out in the bush. Enjoy a morning at leisure, perhaps with yoga on the fabulous deck overlooking Chyulu Hills or a special spa treatment (not included). Lunch will be served on the outdoor deck. This evening, your expert guide will take you on a bush walk to learn more about the park, its rich history, the flora and fauna unique to the park and how nature lives and thrives in Tsavo. After your walk, enjoy pre dinner drinks and musical entertainment at the camp “boma”. Dinner with be followed by a nightcap on the stargazing terrace. Following breakfast and check out, you will be transferred to the airport for your flight to Zanzibar. Upon arrival, you will be taken to your Ocean Front Hotel for the remainder of your luxury East African adventure. Zawadi Hotel sits atop a cliff, with a spectacular view of the Indian Ocean, framed by swaying coconut palms and bougainvillea. It is a private, intimate getaway beach retreat with only nine spacious villas. Designed in an elegant laid back beach style, Zawadi is relaxed luxury at its best, lying on one of the most coveted locations on the island of Zanzibar. Enjoy breathtaking unrivaled views of the Indian Ocean stretching as far as the eye can see. At the center of the property the cliff recedes, creating a beautiful cove of pristine white sandy beach. Guests can enjoy swimming in the warm waters of the Indian Ocean throughout the day and can go snorkeling straight from the beach. Located on the south east coast of Zanzibar just 60 minutes from the airport, it is the newest addition to the prestigious Zanzibar Collection. Zawadi offers guests accommodation in 100 sqm villas with en-suite bathrooms and a spacious terrace directly overlooking the ocean. With a relaxed atmosphere and understated elegant beach décor, it is a tranquil, laid back hideaway offering guests an all-inclusive stay with the very best cuisine and personalized service. Today is yours at leisure. Relax on the white sand beach with a drink in hand, or take advantage of the hotel’s close proximately to town with a city tour of Stone Town. Enjoy meals at leisure, reveling in the island’s local cuisine of fresh fish, crisp produce and exotic spices. After a long breakfast, head on foot to the fascinating mangrove forest just 10 minutes away. Here, you can board a small local ngalawa boat to explore this pristine coastal environment where herons nest and crabs are abundant. Consider a swim with dolphins or join a naturalist guide on a tour of Jozani Forest, home of of the endangered Zanzibar Red Colobus. Enjoy the toasty afternoon on the beach or by the pool. After your final breakfast in this East African paradise, you will check out and be transferred to the airport to begin your journey home. Starting rates are based on double occupancy per person. Please inquire with your travel planner for holiday rates.